Hanover bed and breakfast travel guide for romantic, historic and adventure b&b's. 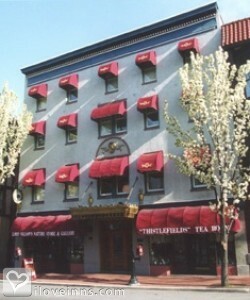 Browse through the iLoveInns.com database of Hanover, Pennsylvania bed and breakfasts and country inns to find detailed listings that include room rates, special deals and area activities. You can click on the 'check rates and availability' button to contact the innkeeper. A borough is an administrative unit such as community. Though boroughs are more common in England and other parts of Europe and also in neighboring Canada, there is one such unique borough here in Pennsylvania which is known as Hanover. Hanover is roughly 50 miles north-northwest of Baltimore and is neatly located in a very productive farming and rural region. There are many interesting things about Hanover that you will be excited about but first, make sure that you are booked for the night at a Hanover bed and breakfast inn. Before you leave, ask for directions on how to get to the Eisenhower Drive which is also known as The Golden Mile because of the many retail shops that are housed there. Hanover has one of the biggest retail centers in the whole state.